Three-stages of change in body and mind. The essential ingredients for this. 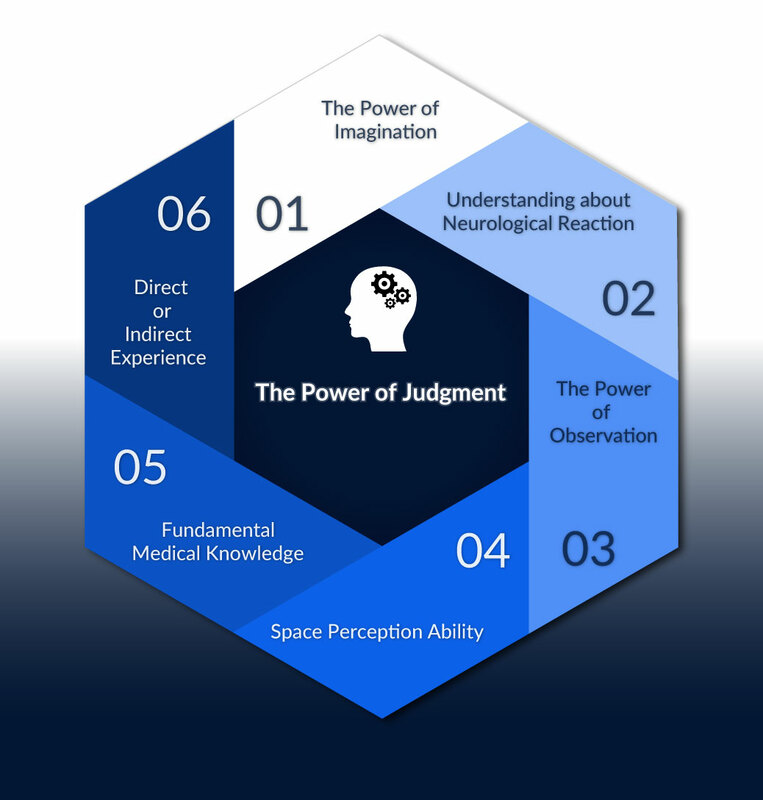 Performing the most ideal movement after judgment is the step which ability of motion performance pursues. All the movements that can be performed under the structure and function of the body are learned (trained) which are not limited to specific techniques. 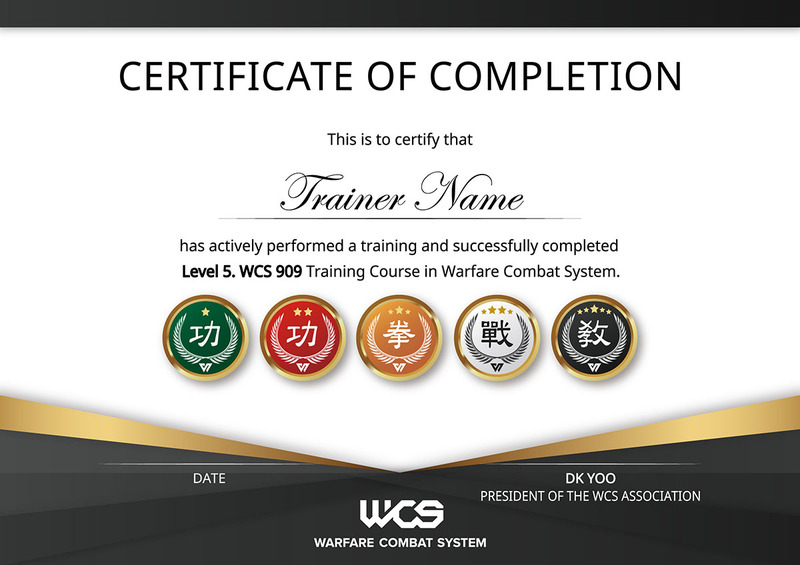 For this matter, all form of movements that human-being can express are trained step by step. 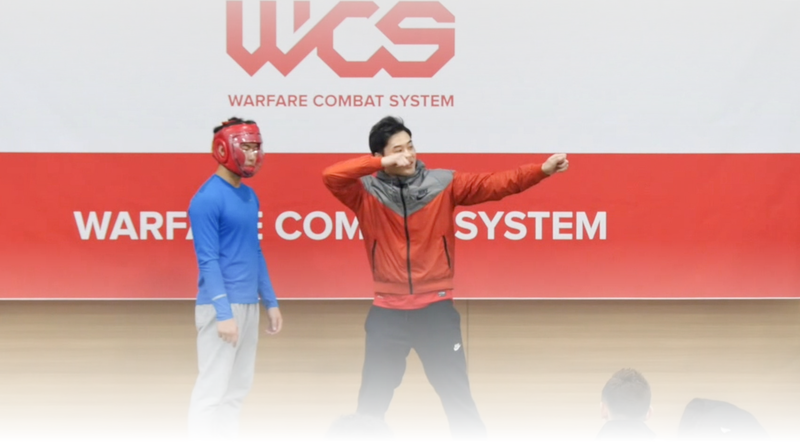 The performance of your body movements should be developed through the stages of “Gong(功)”-foundation, “Kwon (拳)”-technique, “Jeon(戰)”-combat, and “Gyo(敎)”-education. 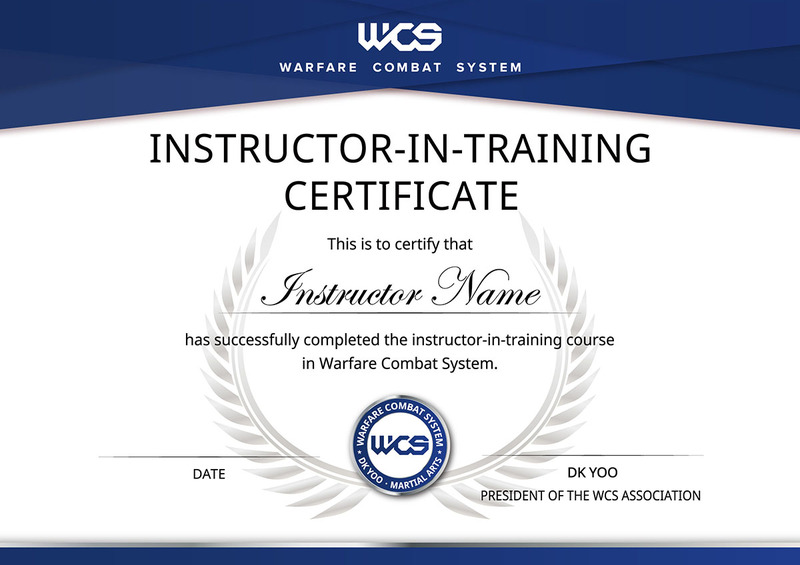 In all the lessons, you first have to understand about the principles how to acquire solid foundation /background, and train your body to achieve this basis. This is refers to “Gong(功)”, building the foundation. 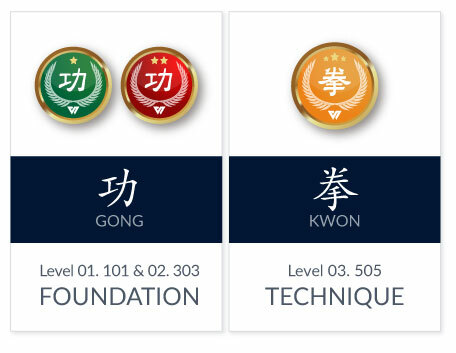 After you achieve Gong(功) – the foundation, you envision constantly and, try to absorb the usage of your body by discerning differences and studying the usage. This is refers to “Kwon (拳)”– technique. 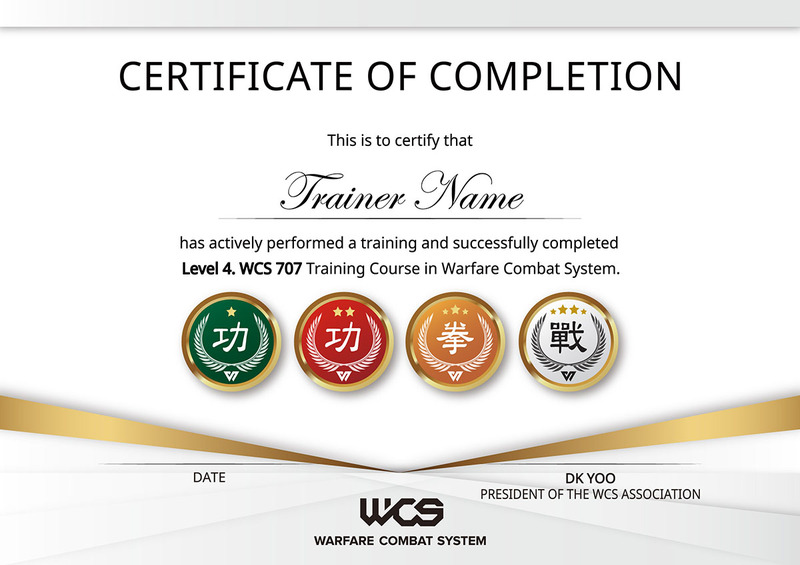 After achieving the “Kwon (拳)”- technique, you continue with experiments to extend the performance of your body and finally prove yourself in the battle. 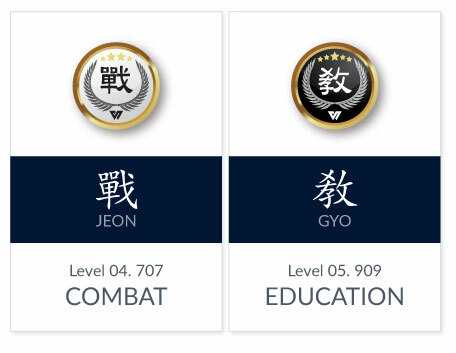 This refers to “Jeon(戰)”– combat. 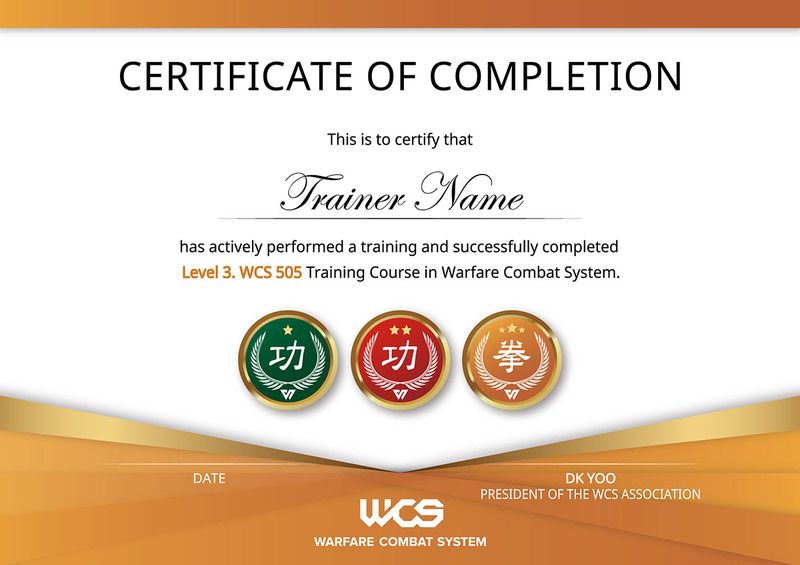 WCS offers training programs based on the three stages: “Gong(功)”-foundation, “Kwon (拳)”-technique, and “Jeon(戰)”-combat. Trainee will first learn the principles of human body movements and techniques, and will be able to choose training method for oneself that best suits oneself based on a realistic and objective thinking. But remember that training is fundamentally up to the individual. All of these are provided to students transparently without any masking. This refers to “Gyo(敎)”- education. In the Orient, the odd numbers 1, 3, 5, 7, 9 were the number of life. 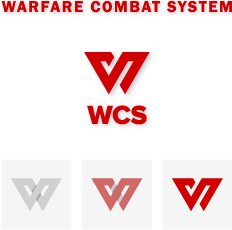 Thus, the WCS level system was created from level 1 to level 5 based on the odd number of life. 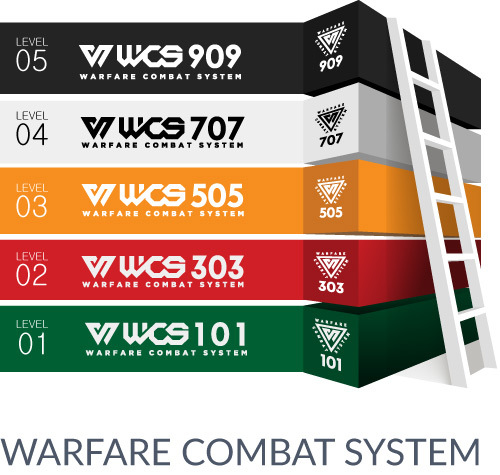 Levels will be raised step by step through examination from 101 to 909. 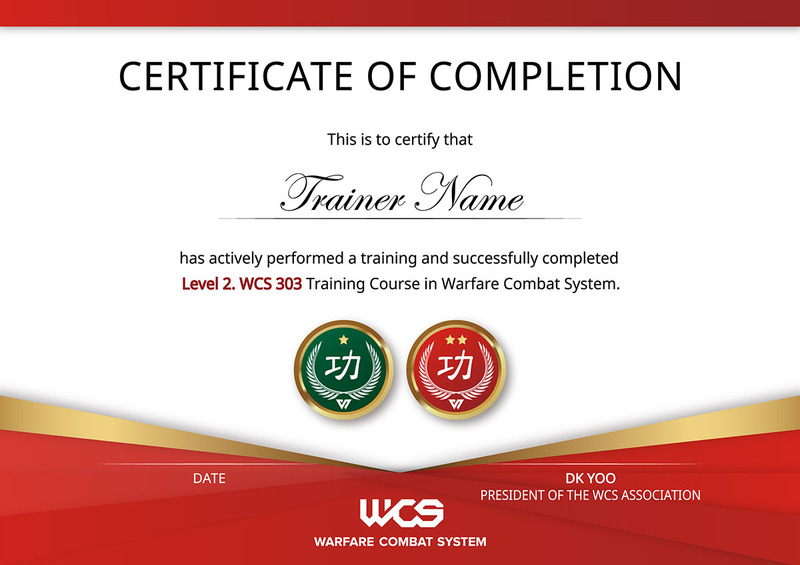 There are two types of WCS certificates. 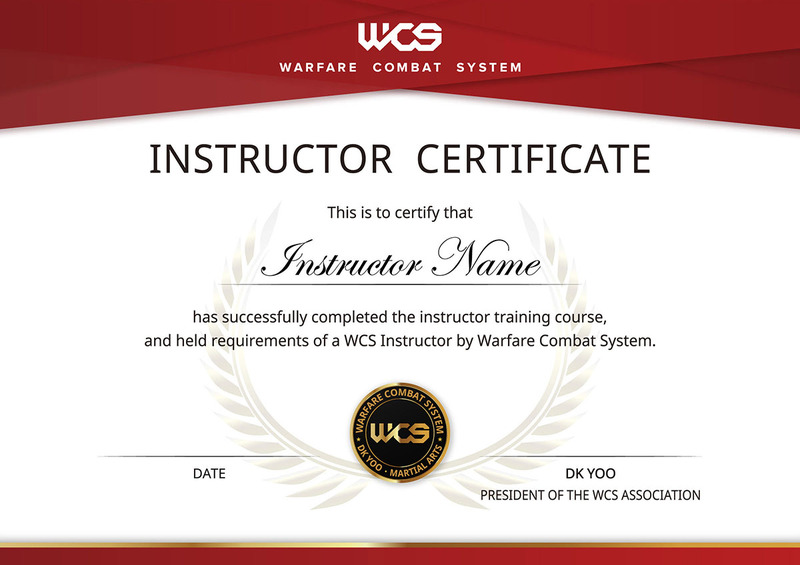 They are Instructor-in Training Certificate which can be acquired in a short-period, and Instructor Certificate which can be acquired in the mid to long period. 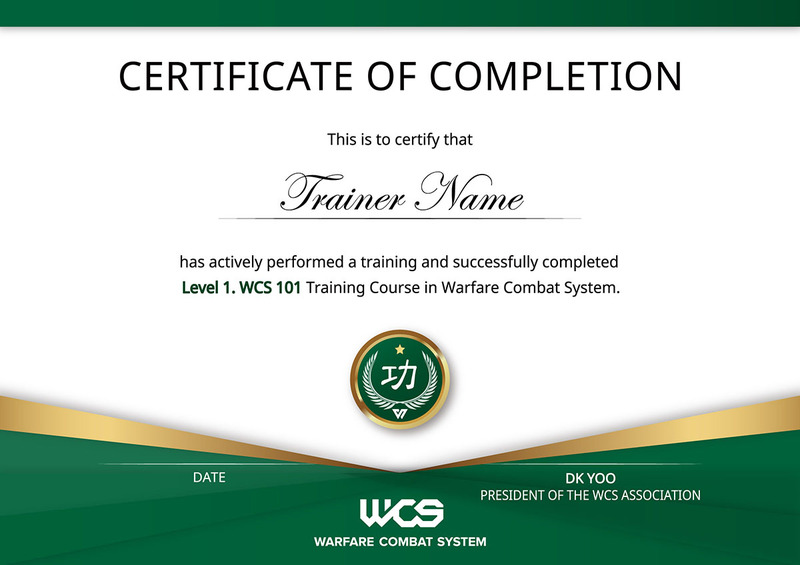 WCS Level Certificate can only be acquired by the person who acquired Instructor Certificate. And the Level will be raised step by step through examination. TG(太極, Tae Geuk) in the Oriental means the origin and essence of the universe. 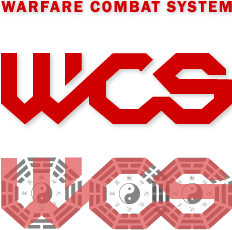 The WCS main logo is made in the shape of a TG, meaning that all movements and philosophies are not distinct and they connected to a single source. It means that all movements, philosophy, and ideas, like the Mobius strip, are connected without being separated.